* Form-fitted to monitor; Black and Putty. 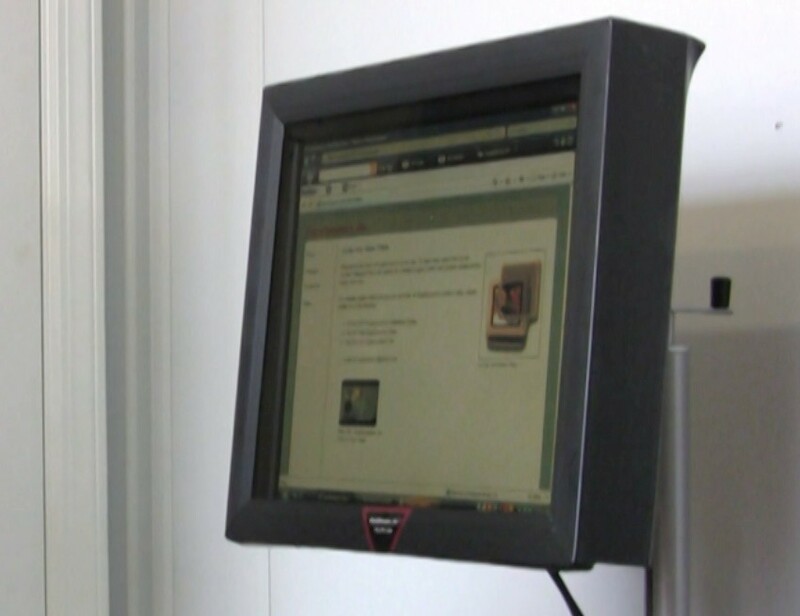 * Fit diagonal size monitors from 12 to 21 inches. Specify if LCD is a Wide Screen. * Used with various custom platforms with separate, pop-off palm rests. The custom platforms can be retrofitted to an existing articulating arm. * Significantly increase blood circulation and reduce fatigue. * Elastic design forces muscles to move even when standing still. * Standard size is 2 ft. x 3 ft. and 5/8 in. thick with outside edge beveled. * VDT riser; vertical adjustable.